For this series, I will compile perspectives of medical professionals on the substandard medical care Conrad Murray provided which led to Michael Jackson’s needless death. I read about an anesthesiologist who was facing a dilemma. Patients, when told they will receive propofol for their anesthetic, will express trepidation and fear. They always point to the unfortunate death of Michael Jackson as the source of their anxiety. The doctor tried to explain to the patient all the scientific studies and minimal risks associated with propofol. This scientific babble usually didn't help much. I have a better idea; use the analogy that has worked for the National Rifle Association for decades. in the right hands is very useful in society. When a crime is committed with a gun, it's not the gun's fault. Guns don't kill people; people kill people. As the evidentiary hearing for Dr. Murray in the Michael Jackson case continues, we are hearing more sordid details about what happened in the minutes after the singer died. The doctor delayed calling 911 after discovering the unresponsive body in the bedroom. Dr. Murray then called security guards to the room and asked them how to perform CPR! I guess he hasn't gone to an ACLS class in quite some time. The guards just looked at each other with incredulity. He then attempted to perform CPR using only one hand. a drug allergy causing Michael's unresponsiveness without ever mentioning that he was given propofol. The defense attorneys are now saying that maybe Michael killed himself. It's always so much easier to blame the dead who can't defend themselves. This does not excuse Dr. Murray from negligence in pushing an anesthetic that should not have been given outside a medical facility in the first place then walking away while his patient was unmonitored. Then this "doctor" didn't even know how to perform life saving resuscitation. Did he think he was just going to collect $150,000 a month by doing nothing except pushing propofol every day? This needless death gets more tragic with every shred of evidence presented. 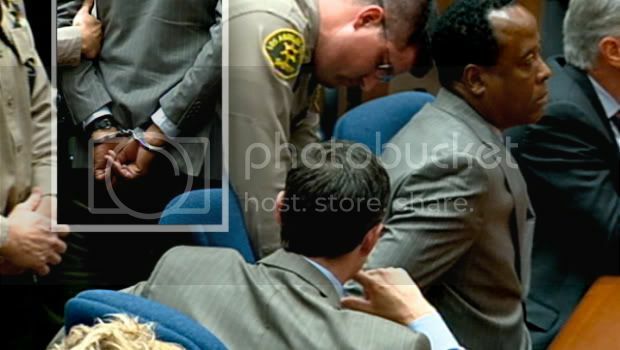 The police are starting to circle around Dr. Conrad Murray and his use of propofol as the culprit in Michael Jackson's untimely death. They are gathering information to charge him with manslaughter. I say we have all the information they need to charge and convict him. Let's review how obvious his criminal acts are. illegal according to the FDA. Strike one. Dr. Murray could hire somebody to watch Michael while he makes his phone calls. Tragically, a great artist has been silenced forever by this charlatan.